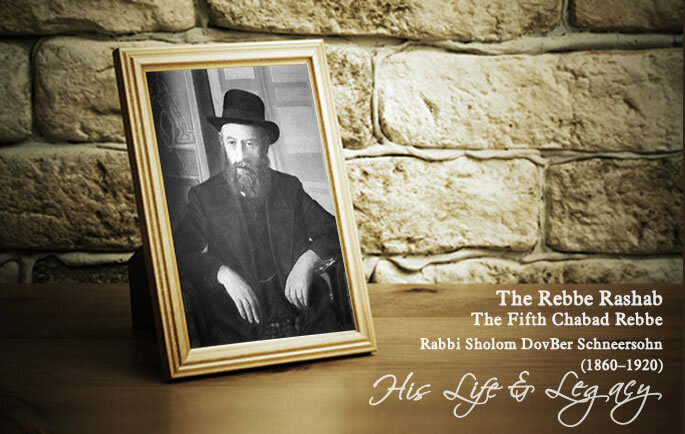 Rabbi Sholom DovBer devoted himself to the future of the Jewish nation by involving himself in education on all levels. He founded the flagship Chabad yeshivah Tomchei Temimim, the first to incorporate Chasidic thought into its syllabus. Focused on strengthening communities in remote areas, he organized a Jewish corps which helped with the education of Jewish children and adults. A profound intellect, he was known to sit perfectly still in deep contemplation for hours on end. His written works provide the first systematic organization of Chabad thought and provide the basis of these studies in Chabad yeshivahs today. His activities strengthened Jewish awareness and secured the future for coming generations.